Playing the Top 100 Golf Courses in The World: My New Augusta National Quest - Post 7 - "The Remission Road Trip!" I have a very gracious friend who lives in California who serves as a gallery guard at the Masters and he gives me his tickets every year for the practice rounds. “The wife” and I are setting out on our road trip to Augusta tomorrow to attend the practice rounds. Technically she doesn’t even call it the Masters, she says “we’re going to see Spieth.” She has a minor obsession with the young man and was heartbroken to learn that he got married last year. 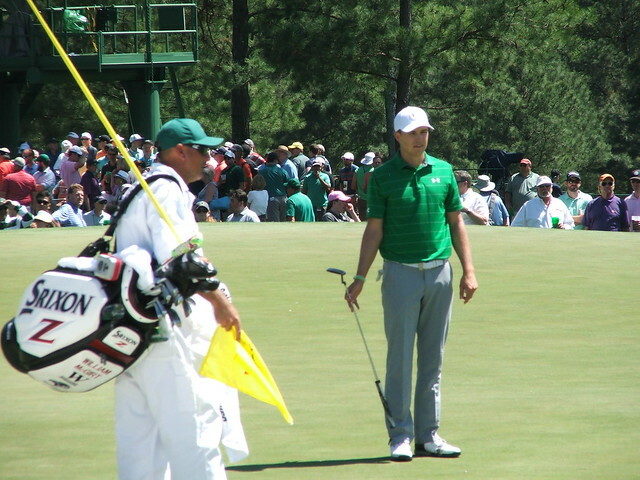 So, even though he has been playing poorly of later we will be following Spieth, which I’m perfectly happy to do. Just being on the hallowed grounds is a privilege. I expect we'll be sitting in grandstands far more this year than in prior visits, but I’m thrilled to be there at all. One unintended consequence of having cancer is that you get a lot of mail. Over the last ten months I’ve gotten at least a half dozen bills, statements, disclosures or explanation of benefits documents per week. Stacked end to end, all the papers related to my treatment measure over 6 inches in height. Contained within that half a foot of paper is $1.4 million of bills related to medical treatment, the cumulative cost so far. The $1.4 million includes 54 days spent in the hospital, 22 bags of red blood received through transfusions, 36 outpatient visits to the hospital, two emergency room visits, 72 visits from my home nurse and 5,230 pills. Sound like a burden? Truth is it’s a blessing. I’m alive and feeling good. And my cancer is in remission. How do I know all the statistics above with such precision? “The wife, Karen.” We all deal with stress in different ways. I personally just let go and turn myself over to the care of the professional and assume that they are skilled in their ways and that god has a plan for me, and that worrying over every little thing isn’t really going to change the outcome. “The wife” is the opposite. She kept notebooks throughout my hospital stay writing down the name of everybody who came into the room. She grilled every doctor, nurse, and pharmacist and had them explain every single thing and every side effect. She keeps spreadsheets of all the pills I have taken. Not only can she tell you that I’ve taken 5,230 pills, she can also tell you the specific dosage and what time of day I took them, bless her soul. I am also enrolled in an FDA trail for a drug called Gilteritinib that has shown promising results in keeping my particular type of leukemia at bay. Modern medicine is full of miracles. And miracles don’t come cheap. The list price of Gilteritinib is $360,000 per year and I am beyond blessed that I don’t have to pay out of pocket. While disruptive tech companies that let you order pizza without getting off your couch or to hail a taxi faster get a lion’s share of the press attention, recent advances in medicine have been even more dramatic. If I had gotten this dreaded disease 25 years ago my outcome likely would have been very different. And advances coming in the next regarding 25 years in areas like immunotherapy, genomics and allogenic cell therapy promise even better, more advanced medicine, something I think is important to keep in perspective when skeptics tell you have bad everything is. Truth is, it's a fabulous time to be alive. They say there are no atheists in foxholes. Well, the same is true for those being treated on an oncology floor in the hospital (or in the case of Penn, the dozens of floors). There is a lot of faith and praying golf on. It is by far the most egalitarian environment I have been in. There are no Republicans or Democrats, you don’t notice or care about someone’s skin color, ethnicity or background. You just have empathy for your fellow sufferers and admiration and trust in the people caring for you. Can cancer ever be a good thing? I don’t really think so, but it has changed my outlook on life and given me the perspective to see things very differently now. I don’t know if technically you can get PTSD from a long and traumatic hospital stay, but sometimes I do feel traumatized. 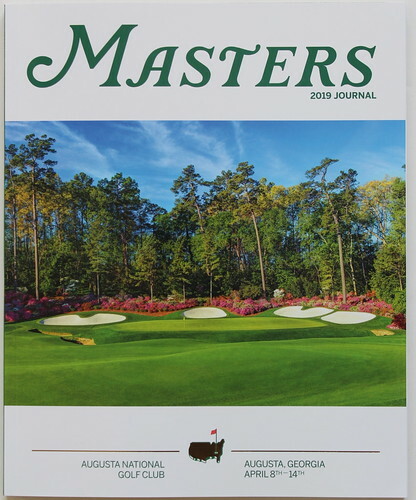 My self-prescribed treatment for curing it is to visit the Augusta National Golf Club and to soak up the Masters with “the wife.” We’ll keep you posted along the way. Karen has her notebooks and spreadsheet at the ready. I’m sure I’ll be able to tell you how many miles we drove to and from Augusta and how many steps we took while on the property! I was diagnosed with CML twelve years ago. Like you, I had night sweats and my wife suggested a visit to the doctor. Lucky for me I take Gleevic once a day and my blood count is normal after hitting a high 195K.My doctor at Penn is great. Played Pinehurst #2 and #4 last. I am confident you will be playing as much golf as you want. For years I have enjoyed following your quest to play the top 100. I am watching a live stream of the Masters 1st round now. Can't wait to read your report of your visit to Augusta. Look forward to hearing how your trip went - an incredible tournament to be at no doubt!